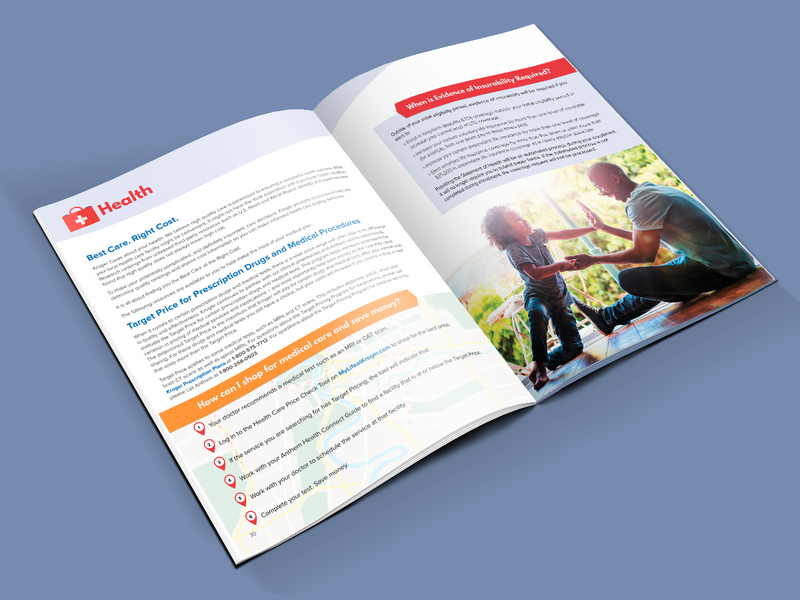 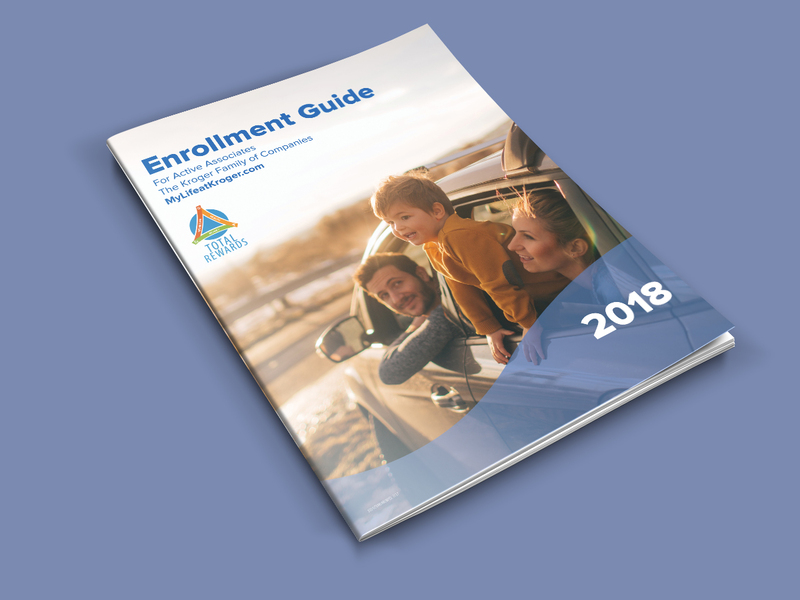 The client requested a colorful and easy to read guide for their upcoming open enrollment insurance guide for 2018. 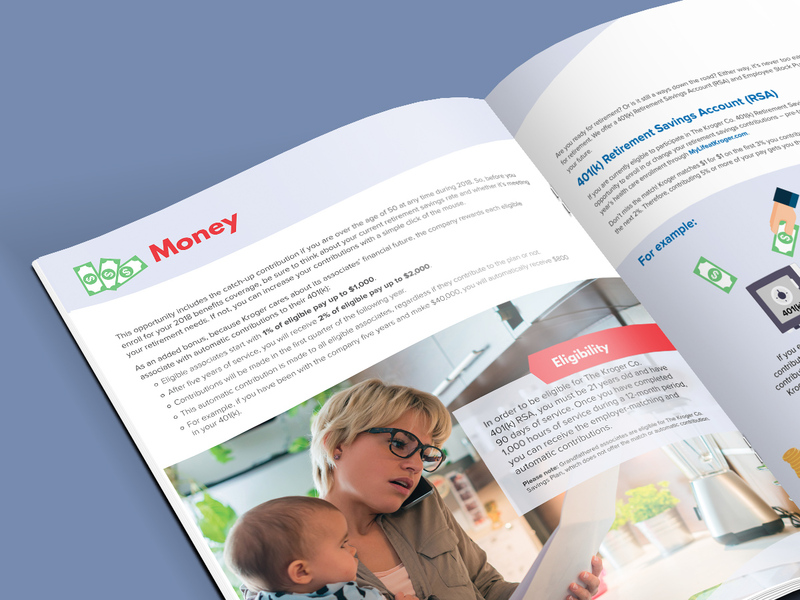 They specifically wanted photography that showed employee life outside of work, so the focus was on home life and casual time with a range of ages from and a diversity of ethnic backgrounds. 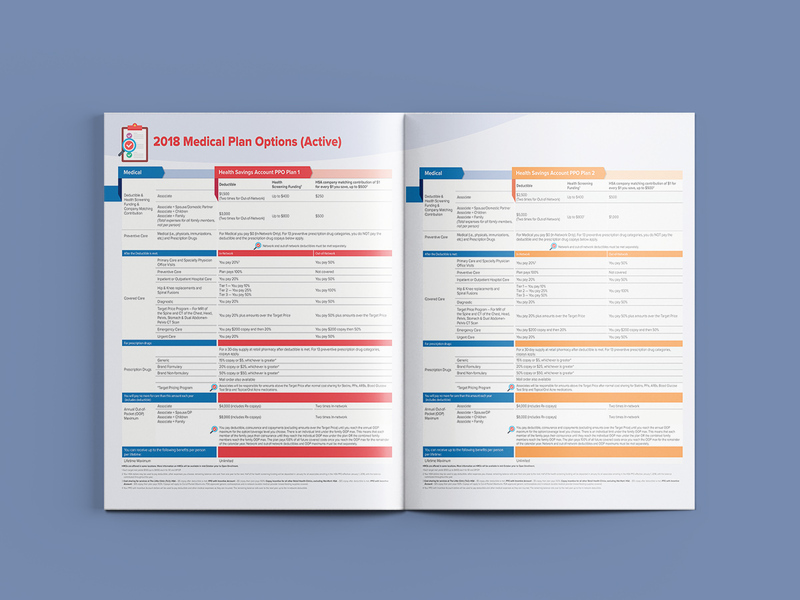 The creative solution was a mix of bright colors that was on brand for Kroger, infographics and photography with a focus to make the dense information about the insurance plan options easy to read.